If you’ve got your hands on the 1.10 release of Minecraft (PE/Bedrock Edition) you can get an early preview of a Pillager Outpost. 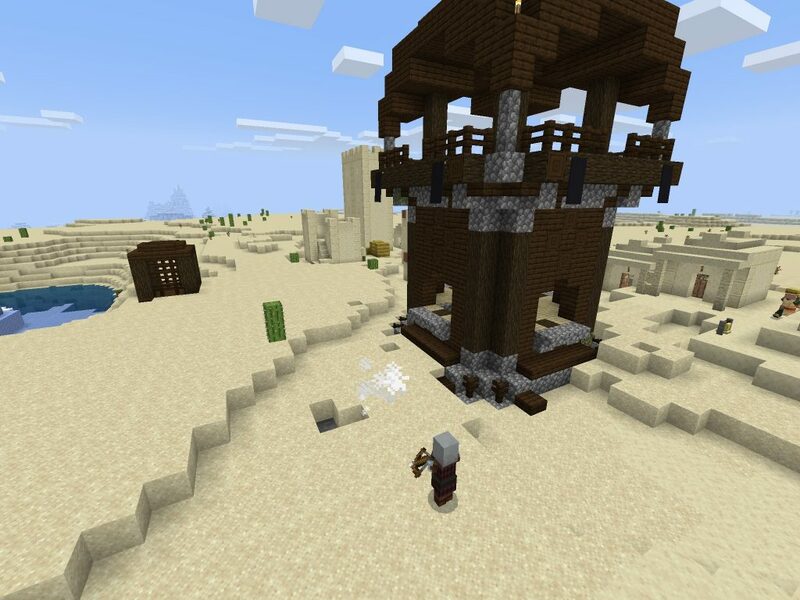 This is a nice one to check out because the pillager outpost is positioned in the middle of a desert village. When we arrived on the scene it was just in time to watch the carnage. If you’re going to give this a try there’s two things you need to do. First, you have to create a creative game, it won’t work in survival mode yet. Second, you have to enable experimental features. Finally, enter the seed. When the world renders, you’ll be in the desert near a savanna biome. 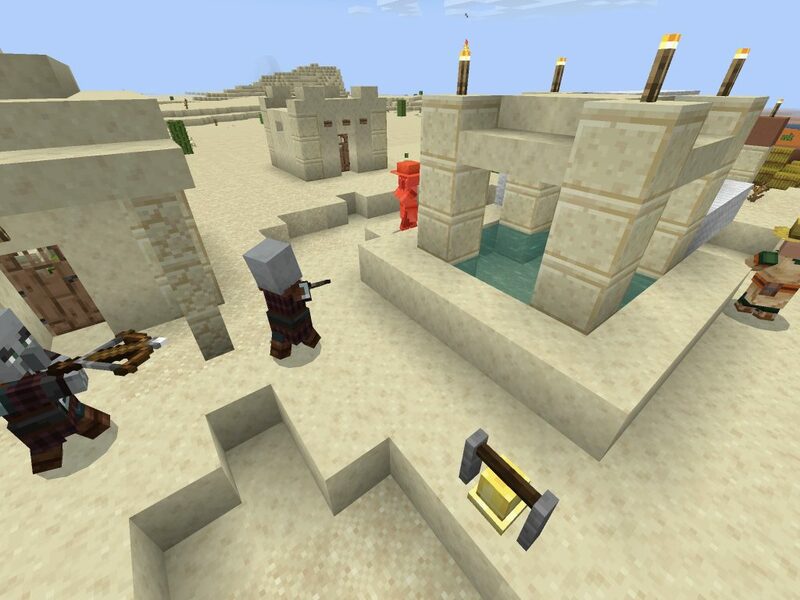 You may be able to get a glimpse of the desert village with the pillager outpost. If not, head away from the savanna, deeper into the desert and you’ll see it. The seed is nice overall. The pillager outpost is in a desert village near the ocean which has icebergs in it. The adjacent biome is badlands, too! 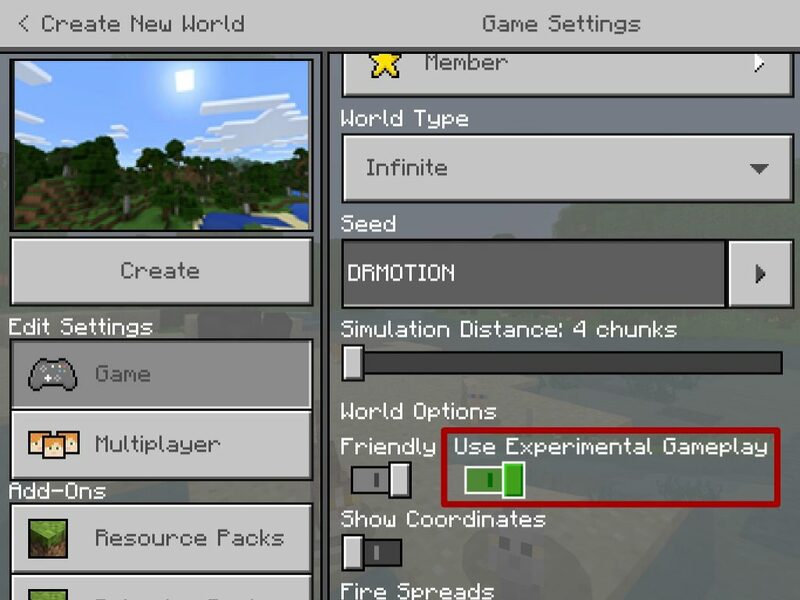 In Minecraft 1.10 Creative Game Type and Experimental Mode must be enabled. The pillagers made short work of the villagers, killing all of them inside a few minutes. The watchtower and cage of the pillager outpost.